But don’t let the quiet veneer fool you. “We throw a street party at the drop of a hat,” said Marcy Onieal, town manager for the past three years. 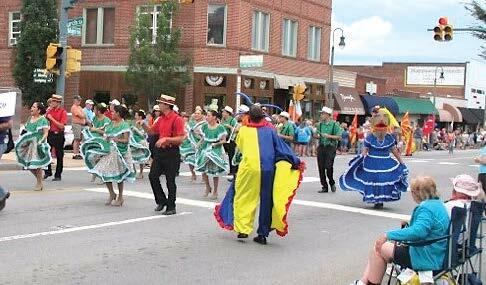 Every July, for two weeks the town hops, skips, twirls and glitters with the kaleidoscopic regalia of dancers and musicians from all over the world during Folkmoot USA International Folk Festival, Waynesville’s cross-cultural centerpiece since 1984. This year’s festival will occur July 17–26. 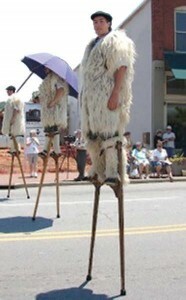 Each year hundreds of groups apply to perform, but only about a dozen are chosen from seven or eight nations. Some of the 100 areas represented include Japan, Russia, France, Finland, Puerto Rico, Jordan, Indonesia, Poland, Kenya, Italy, Greece and Korea. The benefits to the municipality of Waynesville are varied. According to Onieal, “for two weeks each summer we have this collision of cultures,” which has resulted in lifelong international friendships, a mutually educational exchange of cultures and even international marriages. Waynesville provides a yearly cash contribution to the festival’s operating budget and has substantially supported the capital budget for the organizer’s next building phase, which includes a museum, year-round cultural and community center, accommodations for international visitors and facilities to sponsor forums on world issues. The festival attracts a large number of tourists to Waynesville for the first time, a good number of whom return each year. The logistics of holding such an event are daunting: They include housing, feeding and transporting 200 performers, many of whom cannot speak English. But the returns are well worth the effort. 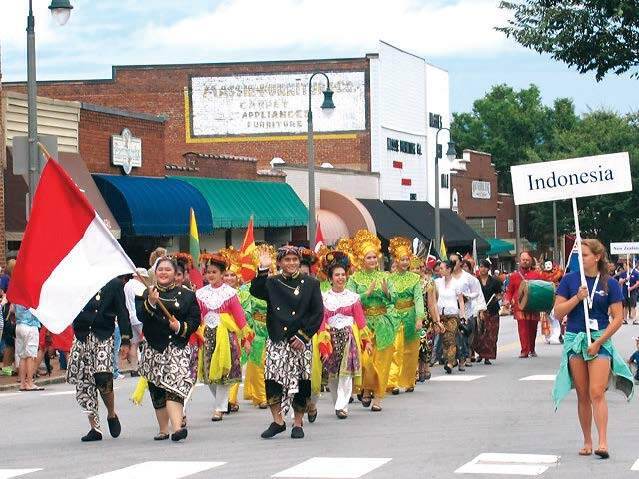 A recent economic impact study tagged the festival’s revenue generation at more than $7 million for Haywood County, of which Waynesville is the largest city and county seat — an economic return that can make a municipality dance.